Amek Media 51 – Can You Say Neve Preamps? 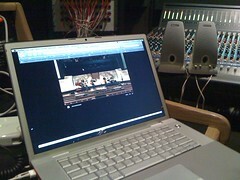 Last month I had the opportunity to mix the webcast for our night of worship that was webcast via North Point Online. The Sunday night NP Online experience is presently a FOH mix at Buckhead, however, we opted to use our studio facilities for the webcast from North Point. The studio at North Point is an interesting room. During the week it serves primarily as a post room for audio-for-video along with other miscellaneous export needs such as podcasts, songs for DVD’s, voiceovers, etc. On Sunday morning the studio mixes for tapes while also handling some of the bussing involved in getting audio to campuses when the sermon originates at our campus. We have also used the studio for the tracking of the North Point Live CD’s including the new one coming out this month. The heart of the studio is a Pro Tools HD4 rig with a Control24 control surface. 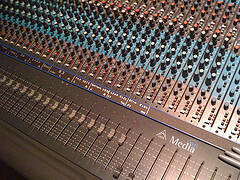 Digidesign 192 and 96i interfaces provide analog and digital inputs into Pro Tools with an Amek Media 51 utilized for pre-amps. Our auditorium splits are 3-way with the third feeding the studio giving us the option of taking inputs from either auditorium. 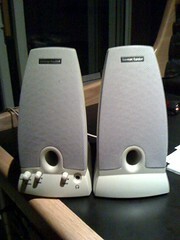 Studio monitors are via active Dynaudio BM15’s or Adam A7’s. 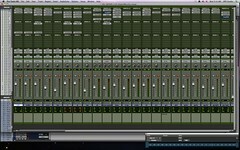 Mixing live in Pro Tools is clunky. For our typical Sunday service with three songs, it’s not so bad, but for a night of worship with lead singers interchanging it was definitely a challenge. 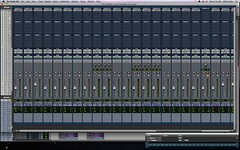 I know that they’ve mixed the Grammy’s broadcast live in Pro Tools on ICONs for the last couple of years, but our setup isn’t quite the same so I’ve set up some cheats in Pro Tools to help with mixing. The control surface is one of the biggest challenges for mixing live in the studio. The Control 24 offers 24 faders, but it’s not always easy to lay them out strategically in the session so you can page or nudge through the channels and have the same faders land in the same place every time. The best case scenario is to try and get the essentials for an event’s mix on 24 faders so you can just sit on those faders for the entire event. Luckily, Pro Tools added VCA’s a few versions ago, however, there are some limitations to these. For starters, VCA’s are tied to Pro Tools’ automation system. The catch is as soon as you enable a track for record, automation on that track is disabled so any VCA associations are also disabled. The workaround gets a little more complicated, but was actually a suggestion from Digi. All our inputs come in on audio tracks, but are then bussed internally in Pro Tools to Aux inputs. We then mix off the Aux inputs. I look at it sort of like a recording console and a tape machine all in one box. The Audio tracks are the tape machine and the Auxes are the console where they return. Setting up this way allows us to assign the Aux inputs to VCA’s while also gaining a few additional advantages. Using Auxes for mixing allows us to utilize Delay compensation for plugin latency so we can do things like parallel compression. I also like to pull some of the Audio input track faders back a little bit so that I can keep the faders for the Aux inputs I mix off closer to the sweet spot of the console. For the webcast specifically, I employed a couple of additional tools for mixing in the studio. The first was a pair of old computer speakers I’ve had for years. Since I was mixing a webcast, I made an assumption that a lot of people would probably be listening at home on not-so-fancy speakers so these served as sort of a real-world reference. I basically just stuck them just to the side of the Control 24 clumped together. 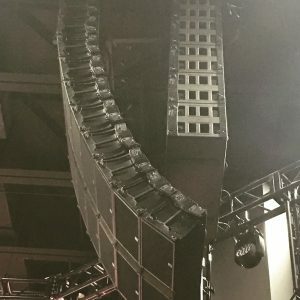 I also had a private audio stream setup online so that I could flip over and listen to what the compression codecs were doing during rehearsals. Once I had a basic mix built on the Adams, I spent a lot of time flipping between the computer speakers and the Adam’s. Personally, I’m not a big fan of the Dynaudio’s because everything sounds pretty on them; I’ve done mixes on them that sounded great until I tried to get them to translate outside of the room so I generally only use them as a reference for low end since they have an active subwoofer. In addition, I also spent a lot of time mixing strictly in mono. We have a Coleman monitor controller which allows us to select from several sources and which studio monitors we listen to, and the Coleman also has a cool little button that makes everything mono. I like to switch into mono and then mute one side of the monitors. Mono mixing is just another one of those real-world references I like to check. 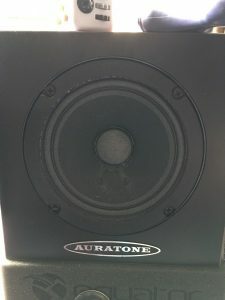 Close proximity speakers–even “stereo” ones you might find on a laptop–can play closer to a mono experience than stereo, and I wanted to know what that was going to do to things. I find that things in the center of the stereo mix such as lead vocals can often tend to pop out more in a mono mix so popping between mono and stereo helps me find a compromise in where that stuff sits. My goal in mixing in mono isn’t necessarily to get perfect separation between instruments; I’m mainly trying to ensure that the spirit of the stereo mix is still there along with any essential elements like vocals and leads. When mixing in the studio, I like to mix at different volumes, and I actually try and spend a decent amount of time mixing at lower volumes. Our studio monitors are calibrated so that the average RMS level is a specific dB level; I believe that -20 dBFS is 83 dBC on the monitors. Calibrated monitors with a fixed gain have been key for film mixing for 30+ years. The beauty of it is you mix everything at a natural level and the levels all work out. 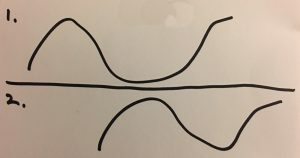 Bob Katz has written about this and some different approaches for setting things up, and if you do some more digging on the net you can find more resources on the topic. I probably spend most of my time mixing at the calibrated level whenever I’m in the studio, and then turn things down for periods of time to work on balances a bit. Whenever I was using my little computer speakers, I was pretty much always mixing below our calibrated level. The next tool I utilized was as basic as you can get: NOTES. 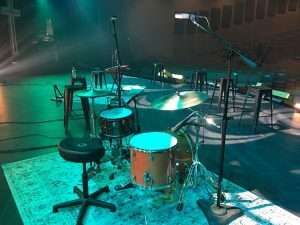 When mixing FOH, I sometimes will add some notes to snapshots on the Venue, but there are no snapshots available when mixing on our Pro Tools setup. Once upon a time I had figured out how to create a single snapshot to get back to a baseline mix, but it always seemed harder than it was worth. I just used one of my little note pads and dedicated a page for each song. 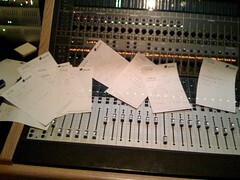 After rehearsal as I worked on refining the mix, I took notes on each song. These included things like who was singing lead and harmony, which guitars were playing the cool stuff, places in a song where I needed to bump things, and then any other fader levels I needed to set for the start of the song. Somehow I managed to get everything I needed for the music set down to 24 faders, and in between songs I would quickly go through setting VCA’s where they needed to be. Overall it was one of the most challenging things I’ve mixed in a while, but it was also a lot of fun. Thanks to everyone for all the great feedback and tweets on the night. I’m glad those of you who were able to tune in enjoyed it. If there’s something else you’d like to know about mixing the night, please fire away in the comments and I’ll try and tell you everything I can remember. I’m including a link to the input list from the night below as well. hey Dave, really enjoyed reading this post. 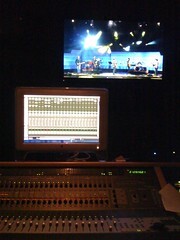 I mix a webcast every Sunday at my church in Knoxville and on a Pro Tools HD Rig nonetheless… lot of helpful stuff here. Thanks dude! Is the webcast you mentioned here archived online? It is not archived. It was a one-time event. What does your setup look like, Austin? We have 16 Digi-pres and 48 Yamaha AD8HR’s (which are leftover from a previous installation). The Digi-pres go to a 192 I/O and the Yamaha’s are feeding 192 digitals. Granted, the 192s are probably a little overkill for our needs, could have gone with the 96 I/Os. For a control surface we are currently using a D-control ES and a DM-1000 for a vocal submix. 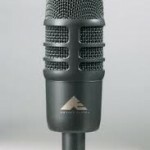 We still have the flexibility though to route vocals directly into Pro Tools if we need to track an individual mic. 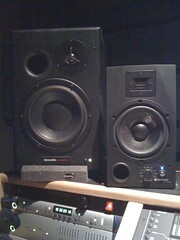 For monitoring, we have Genelec 8050s and are also using some small laptop speakers as well to keep us grounded. Here’s a link to some photos on Picasa that I took a while back. You won’t see a few things as these were taken right after the installation, but everything is mostly the same. Would love to talk to you more about mixing live in Pro Tools.